To get the marinade to soak into the chicken, using a sharp knife, make 2-3 slits on the chicken fillets before mixing the marinade. Place all the marinated pieces into a roasting dish and pour any extra marinade over the pieces. The first 20 mins I cooked covered with silver foil so that the chicken pieces would not get burnt but the foil would capture the heat and steam and cook it form inside out . After that, I took out the foil and cooked it for another 15-20 mins ( depends upon the amount and size of chicken pieces !) without the foils so that I could get the nice roasted taste. 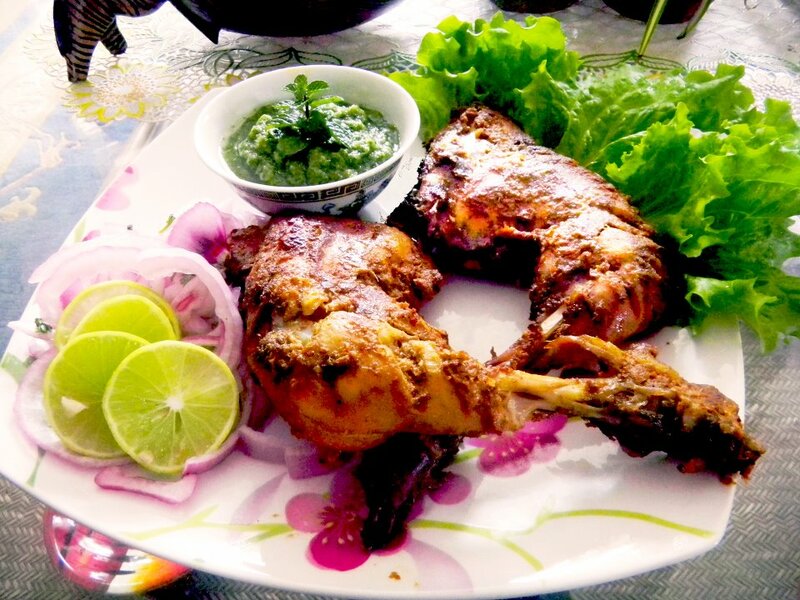 This entry was posted in All Recipes, Chicken and tagged Chicken recipes, Homemade Chicken Tandoori, Tandoori Chicken by Kamakshi. Bookmark the permalink.